For the last one-and-a-half years, India has been the fastest growing air traffic market in the world. In July, domestic air travel in India grew 26.2 per cent with China being the second-fastest growing domestic market (10.2 per cent traffic growth), according to the International Air Transport Association (IATA). Last year, the number of passengers travelling by air equalled the number of passengers that travelled in the air-conditioned coaches of the Indian Railways, according to GMR Group Chairman Airports Srinivas Bommidala. So much for the good news. Here is the grim picture: the robust growth in air traffic has led to capacity constraints and increasing congestions at the Indian airports and a capacity shortage looms large, in terms of runway slots, parking bays or terminals, in the years to come. 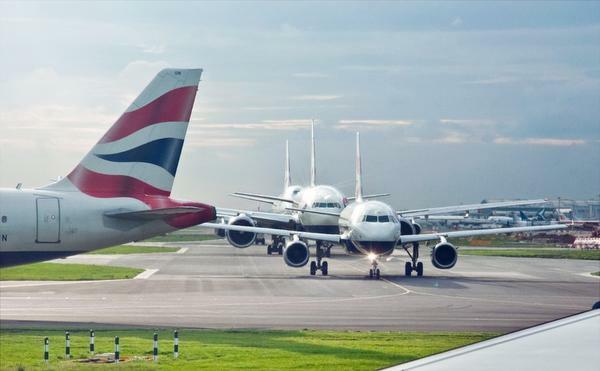 As India is set to become the third-largest aviation market in the world in the next five to seven years, according to consultancy firm CAPA, it needs to come up with a firm plan to build 50 new airports at an investment of Rs.2.72 lakh crore to handle the growing air traffic. And it has to start planning now as the airport capacity constraint cannot be resolved overnight as it involves land acquisition, approvals and clearances, design, construction and urban planning, among others. At present, out of 125 airports managed by Airports Authority of India (AAI), 69 airports receive commercial flights. Let’s take the case of metro airports first. Around 66.5 per cent of India’s total air traffic comes from Delhi, Mumbai, Bengaluru, Chennai, Kolkata and Hyderabad airports. These six cities would require new airports by 2025-26 and in some cases, much earlier, CAPA said in its report titled ‘India’s Airport Capacity Crisis’ released early this year. The fact that both Mumbai and Bangalore airports could be shut for operations simultaneously during much of the day-time early next year reflects the poor planning in terms of airport infrastructure. “Major runway upgrades need to be planned more efficiently with less impact on traffic disruption,” said Kapil Kaul, CEO and Director, CAPA South Asia. “It is a systemic issue, reflecting the structural problems to do with airport planning,” according to him. Domestic airlines have opposed the simultaneous closure of runways at these two airports concerned with the business impact of the move at a time when demand for air travel is soaring. “There are limited time slots available at Delhi and Bangalore,” an airline executive said requesting not to be identified. “During peak time, slots are saturated at Kolkata and Hyderabad airports. No new flights can be added at Mumbai. It’s a big worry for the industry. We don’t know where the capacity will be deployed once the ordered aircraft starts coming in,” he said. At present, India has over 430 aircraft in service and the airlines are expected to add 100 aircraft in the next 18-24 months. The Centre hasn’t yet talked about building a second airport at Bengaluru, Chennai, Kolkata and Hyderabad. The second airport for Mumbai, proposed to be developed at Navi Mumbai under the public-private partnership model, was approved by the Union Cabinet in July 2007. However, it was only this year that the project has received all the major approvals required to commence the work on site. Now, it is highly unlikely that the airport will meet its operational deadline of December 2019. The master plan for the expansion of Delhi’s Indira Gandhi International Airport is ready and will involve building the fourth runway, construction of a new terminal and expansion of the existing ones. However, the airport is expected to be saturated by 2022-23 as it is expected to handle up to nine crore passengers by then, according to CAPA. Last year, Bhiwadi in Rajasthan was given site clearance for a second airport in the national capital region and the Uttar Pradesh government has also proposed an alternative airport at Jewar. The Centre has proposed a regional connectivity scheme (RCS) under which it plans to develop 50 un-served and under-served airstrips as low-cost airports in tier-II and tier-III cities. The cost of building each airport is estimated to be between Rs.100 crore and Rs.150 crore. However, the work sanctioned for development of five no-frills airports in 2014 at Hubbali and Belagavi in Karnataka, Kishangarh in Rajasthan, Jharsuguda in Odisha and Tezu in Arunachal Pradesh is still under progress. AAI Chairman Guruprasad Mohapatra had recently said that 22 airports are ready to receive flight operations under the RCS. “The next phase of air traffic growth will come from India’s interiors, many of whose customers will be highly cost-conscious, first-time flyers. Future airport projects therefore will have to be functional and cost-effective, with low-frills…We believe that around 30-50 RCS airports may come up in the next 8-10 years,” Mr. Dubey said. While commending the government’s plans to improve regional connectivity, another airline executive said metro airports should remain the focus area for the success of its proposed scheme. “People from smaller airports will fly to big cities. Airlines will connect smaller towns with cities following the hub-and-spoke model. For smaller airports to remain viable, capacity at metro airports needs to be sustainable,” the airline official said. Airports under the public-private partnership model have helped AAI develop and modernise airports across the country, said Satyan Nayar, secretary general at Association of Private Airport Operators. After a long, dry spell in terms of privatisation, GMR Infrastructure recently won a bid to develop and operate Goa’s second airport at Mopa on land belonging to the state government. However, the AAI Chairman made it clear in a press conference recently that it had no fresh plans to privatise any of its airports as of now, apart from giving operational and management contracts to handle the Jaipur and Ahmedabad airport terminals to private developers. “It’s unfortunate that the airport PPP program has been grounded after Delhi and Mumbai. Airport development and operations are a commercial activity and should not be in the government’s domain,” Mr. Dubey said. He said the top 10 AAI airports should be leased out to private operators through competitive bidding. The privatisation of airports, which began with Delhi and Mumbai in 2005, has helped improve AAI’s revenue-flow over the years. It has received over Rs. 13,000 crore in the form of revenue share from the airport operators at Delhi and Mumbai in the last six years. The revenues from PPP airports constituted almost one-third of a record Rs 10,824 crore revenues earned by AAI in 2015-16. These funds have helped AAI in developing and modernising other tier-II and tier-III airports along with supporting large unviable airports managed by AAI. In 2014-15, 96 AAI airports registered losses of around Rs.1,200 crore and it spent more than Rs.14 crore in maintaining 32 airports where there was no aircraft movement. Although foreign airport operators have shown limited interest in recent airport tenders, Singapore’s Changi airport was keen on modernising Jaipur and Ahmedabad airports. However, Changi Airports International’s proposal was rejected by the AAI as the latter only wanted to hand out the operations and management (O&M) of the terminal buildings. Mr. Kaul said he saw limited interest in O&M contracts from global players. Mark D Martin, Founder and CEO of Martin Consulting called for infrastructure status for air routes, air navigation and airways – a move that will help players avail of cheaper financing. He also advocated hiving off of the air navigation services, which handle the air traffic control operations, from the AAI. He said the move would help create a corporate body to help generate its own revenue from air navigation charges in return for aeronautical services. The government had earlier this year set up a panel to explore ways to hive off ANS into a separate entity – an idea first mooted in the 1970s. More than a third of AAI’s revenues flow from air navigation services. Tourism meet sees pacts worth Rs.15,000 cr.